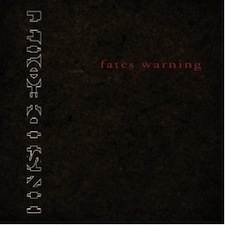 In 2010, Fates Warning delivered a special remastered version of their highly successful album Parallels. Now, the band is back with their re-release of the Parallels follow-up, Inside Out. Like its predecessor, the remastered Inside Out comes with a plethora of bonus material--some of it previously unreleased. Since Inside Out was first released in 1994, I immediately decided to put my main focus on this bonus material. The original ten tracks of Inside Out have probably been reviewed hundreds of times, so I'll leave those alone. I will say this though; the remaster does sound great and is not far removed from the original. The extras from Inside Out include the live versions of "Outside Looking In", "Down to the Wire", and "Face the Fear". There are also live performances of the Parallels tracks "The Eleventh Hour" and "Point of View". I really enjoyed the live version of "Outside Looking In". Ray Alder's vocal abilities shined through and remained intense throughout the entire song. Also, I like the drumming on this version more so than I do on the studio version. For whatever reason, there seems to be a distracting sound in the drumming on the studio track. It is much less apparent on this live recording--making an otherwise amazing song even better. The rest of the live tracks are decent. The instrumental parts of the songs sound fantastic, but almost too fantastic. The vocals are often overpowered and at times difficult to understand. In the slower, more delicate parts of "The Eleventh Hour," the vocals are pretty clear. Following the live material are the demo versions of some of the Inside Out tracks. For the most part, the demos sound a lot like the finished products the fans are used to hearing. However, there are some subtle differences and little nuances that one may pick up on. For instance, on the "Outside Looking In" demo, there is a creepy echo in the very beginning of the first verse. It sounds kind of cool, but it sadly didn't make the final cut. There is also a demo of my favourite song from the album, "Shelter Me". It is very similar to the album version, but it is about a minute longer. Some parts of it--especially the intro--sound like they might be a bit lighter and more ethereal. One demo that breaks away from this pattern is "Face the Fear". It is quite a bit longer than the final version, and it is an instrumental. It is very different from the version that made the final cut of Inside Out, but you can definitely hear the framework for a great song. If the bonus audio material wasn't enough, this re-release of Inside Out includes a DVD. Inside Out Live has concert footage of nearly every track from the album. There are also live versions additional Fates Warning songs and more--such as a performance of "Guardian" featuring Mike Portnoy and a rare MTV Europe interview from 1994. Oftentimes, when a band remasters or re-releases a classic album, it is hard for even the most diehard of fans to think about spending the money on something they probably already own. This really isn't the case for Fates Warning and Inside Out. This remastered version is enormously expanded and contains so many extra sights and sounds that Fates Warning and progressive metal fans will greatly appreciate.